This fully customisable 9-day guided tour has been designed to provide the perfect balance of hiking and historical exploration. From north to south, you'll cover all the major cultural and archaeological highlights that Armenia has to offer - including its many UNESCO-listed cathedrals and monasteries - while trekking through some of the most breath-taking mountain scenery in the world. Being a tailor-made programme, the length and difficulty of each of the hikes included in the itinerary can be 100% adapted to you and your travel companions, so simply let our local experts know what sort of tour you're looking for and they'll create it for you. Welcome to Armeina! Upon arrival into Zvartnots Airport, a member of our local agent will meet you and transfer you to your 3* hotel in the city centre of Yerevan (20 km). Depending on the time of your flight, you'll have the rest of the day free to relax or explore the city. After breakfast, your first stop will be the pagan Temple of Garni, the only preserved monument of the Hellenistic period in Armenia. Then, you'll head down to the Garni Canyon, surrounded by amazing basaltic formations. Next stop: Gueghard Cave Monastery. The monastery was renamed Geghard, meaning 'lance,' because it holds one of relics of the Armenian Apostolic church: the lance that one of the roman guards used to pierce the rib of Christ on the crucifixion. 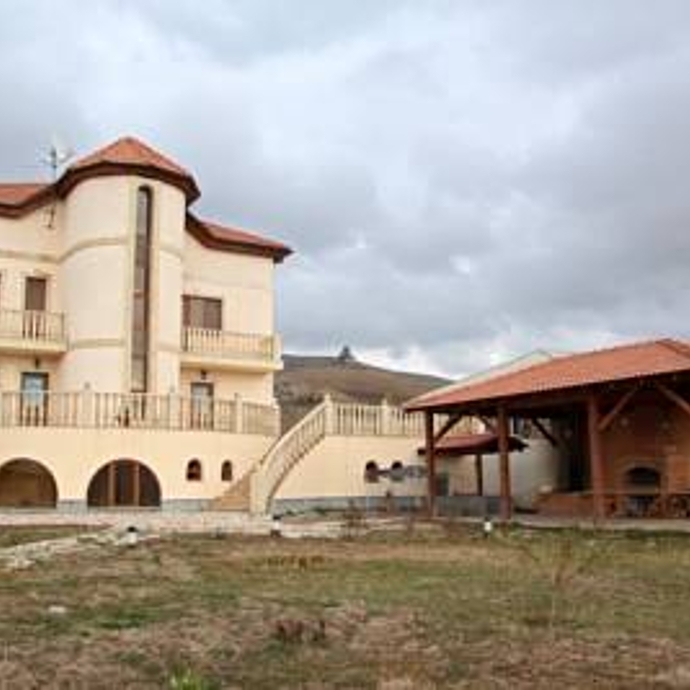 Lunch will be enjoyed at a local villager’s home, in which you'll be treated to delicious fresh fish from the river along with some legendary Armenian hospitality. In the afternoon, return to Yerevan to visit Matenadaran, a museum and research institute. It holds one of the world's richest depositories of medieval manuscripts and books spanning a broad range of subjects, including history, philosophy, medicine, literature, art history and cosmography. Dinner at a restaurant in the evening and overnight at your hotel. Today, we continue on to the monastery of Saghmosavank, sitting on the edge of the picturesque Kasakh Canyon, where you'll have the opportunity to meet some local Yezidis. The Yezidis, also called Yazidis, are a small religious minority of Kurdish language. Afterwards, our hike continues to the Fortress of Amberd, where you'll stop off to visit the spectacular fortress and its church. In the afternoon, you'll be driven to Odzoun Village to see the 6th-Century Odzun Basilica. You'll also have the time to stop off at a local villager's home, where a warm welcome will be waiting for you along with a traditional BBQ. After sampling some homemade walnut jam and herbal tea, you'll have an overnight homestay in Odzoun. After breakfast, the next stage of your hike begins from Odzoun to the ruins of Kobayr and Horomayr Churches (7th and 13th Century), accessible only by foot. Next stop, you'll visit Haghpat and Sanahin Monasteries, both UNESCO world heritage monuments that are some of the most impressive examples of Armenian religious architecture. In the afternoon, you'll be transferred to the town Dilijan, one of the finest resorts and spas in Armenia, where you can breathe the pure air of coniferous forests and relax before dinner and an overnight stay in your hotel. Breakfast, then bus transfer to the picturesque Dilijan National Park. From there, you'll head on to Lake Parz, a small lake in a forest at the altitude of 1,350m. From there we'll go for a hike through beautiful forest scenery that will bring us to the monastery of Goshavank. Settled in the valley, it was founded in 1181 by the monk and famous jurist, Mkhitar Gosh, author of the first Armenian civil code. In the afternoon, we'll continue on to Haghartsin Monastery for the ultimate combination of natural and architectural beauty. You'll also get to discover the ancient craftsman’s district in Dilijan and visit a Molokans family - the 'Amish' of the Caucasus. Next, you'll be transferred to the village of Tsaghkunk, where a delicious dinner will be waiting for you. Overnight in a cosy guesthouse in Tsaghkunk. Morning transfer to Lake Sevan, the 'Blue Pearl' of Armenia! This huge mountain lake, which covers 5% of Armenia’s surface, is about 2,000 metres above sea level and is the second highest freshwater lake in the world. Then, you'll head on to Sevanavank, with its two small but beautiful churches. Next stop: Noradouz - a cemetery of crosstones (khachkars). The city is widely known thanks to its number of unique khachkars dating back to the 13th and 17th Century. After, you'll continue south on the Selmi Pass. En-route, you'll visit Selim Caravanserai, witness to the ancient Silk Road between Persia and the Occident, situated 2,410m above sea level. According to the two building inscriptions, the ancient caravanserai was built by Prince Orbelyan Chesar. Finally, a tasting session of regional pakhlava and Armenian cognac awaits you before your journey on to Hermon. 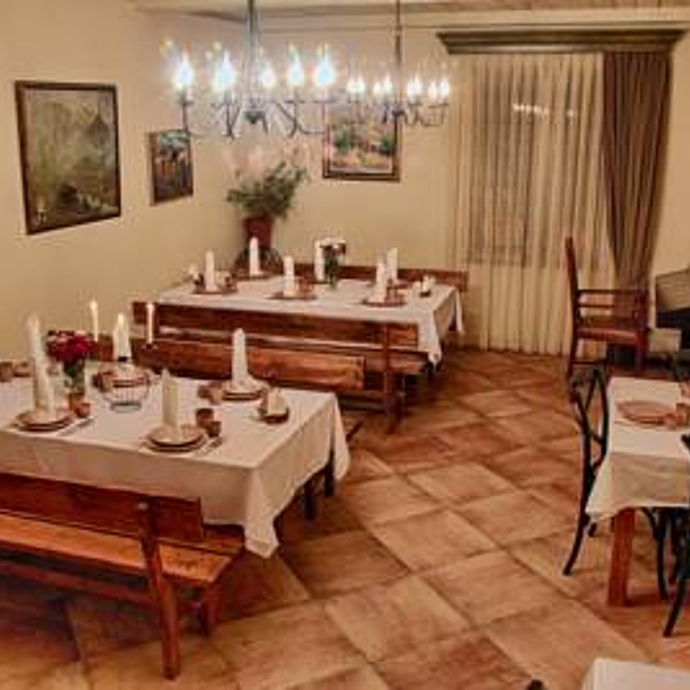 Dinner and overnight in a cottage in Hermon, where you can relax in the pool or sauna. After breakfast, your journey continues on to Yeghegis, home to an ancient cemetery and the 14th Century Zorats Church are located. The architecture of Zorats Church is unique among other Armenian churches, and it's the starting point of your next hike to the 10th Century fortress of Smbat. From here, you'll then continue to the 10th Century monastery of Tsakhats Kar all the way down to the village of Artabuynk, where you'll be transferred to the Syunik region. In the afternoon, your next stop will be the monastic complex of Tatev, hailed as an architectural masterpiece. From the 14th Century onwards, it became an eminent university and remains one of the oldest universities in the world, where students used to study humanitarian and social sciences, music, writing skills, and calligraphy. After this visit, we set off for Goris, a city in the heart of a landscape of caves and ‘fairy chimneys,' that offers great hiking opportunities. 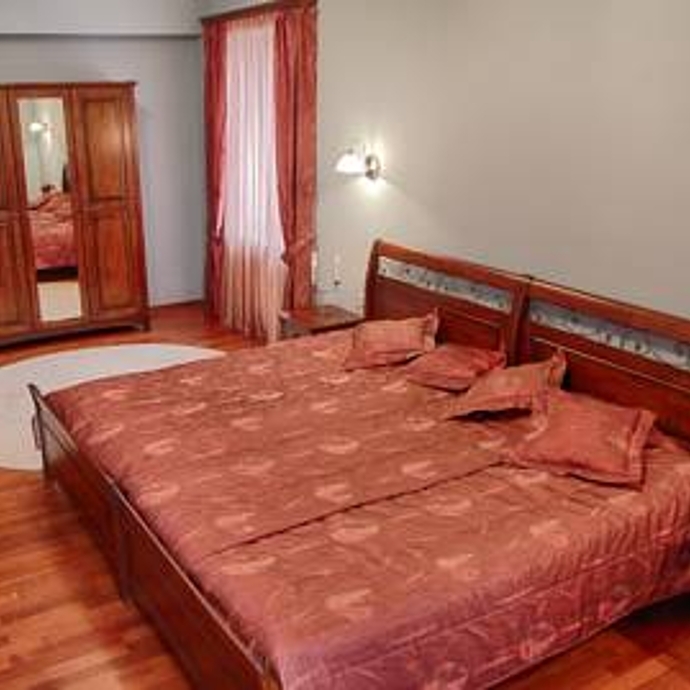 Accommodation will be in a cosy hotel in the heart of the city after dinner. Breakfast, then departure for the ancient site of Karahundj - 3,500 years older than England’s Stonehenge and 3,000 years older than Egyptian pyramids! The total area of the observatory is 7 hectares, and according to scientists, it once contained a temple consisting of 40 stones built in honour of the Armenians’ main God, 'Ari,' meaning 'the Sun,' situated in the central part of Karahundj. In addition to the temple, the area is also said to have had a large and developed observatory. Next, direction: Noravank. 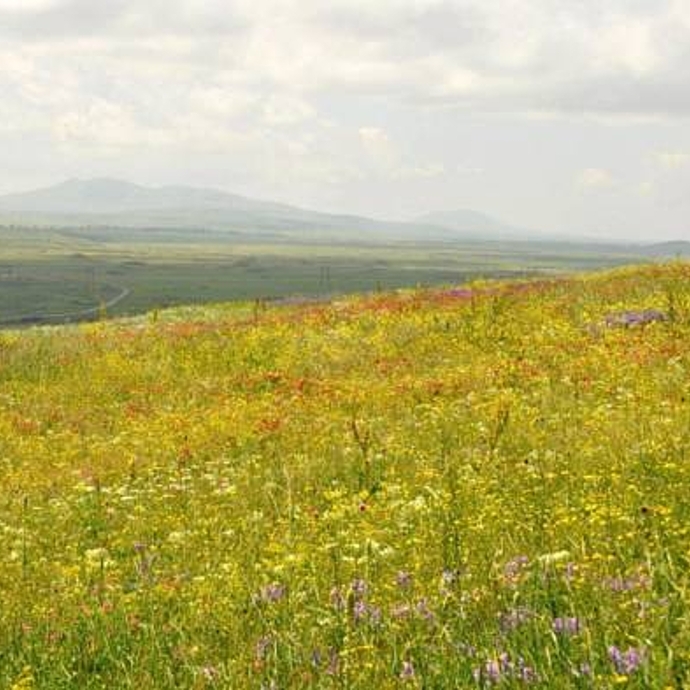 The canyon boast diverse flora including rare and endemic species of plant. After, you'll head on to the Monastery of Noravank, founded in the 13th Century and located in a deep canyon surrounded by mountains of exceptional beauty. Last but not least, you'll be transferred to the Monastery of Khor Virap. 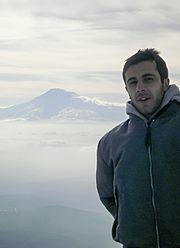 The landscape here is dominated by Mount Ararat (5,165 m) and its heritage is one of the most sacred places of the Armenian apostolic church, where one can see the pit that served as a prison for Gregory the Illuminator, the first Armenian saint and founder of the Armenian Apostolic Church. Return to Yerevan at the end of the day for dinner in a folk restaurant, then overnight at your hotel in Yerevan. Enjoy your final breakfast in Armenia before your transfer to the airport for your flight home. We hope you've had an amazing time! Accommodation (08 nights) in hotels 3*, homestay based on standard double room, breakfast included.